He built another gate! And it's enhanced! Baldur’s Gate II holds a pretty special place in my heart. It was easily my favorite RPG from my younger days, and to be honest not much has changed since. Classic Dungeons & Dragons gameplay combined with wonderful characters and writing is a simple recipe for a timeless classic. Visually, however, this timeless classic has certainly aged. And so steps in Beamdog with Baldur’s Gate II: Enhanced Edition. Just as with the first game, this Enhanced Edition looks slightly better, plays the same, and has some extra goodies added in. Whether or not it’s worth the entry fee is up to you, though. So, Baldur’s Gate II. Chances are, if you’ve ever looked for recommendation for classic RPGs, this game has come up in some way, shape, or form. 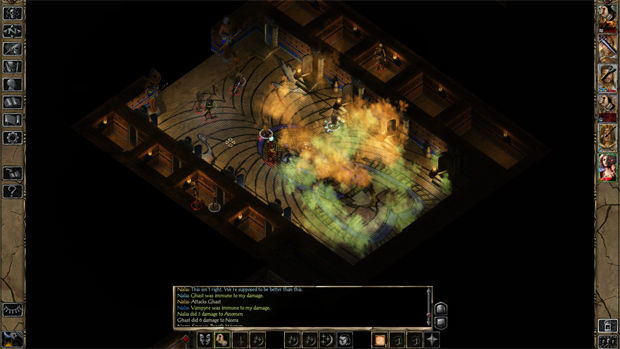 The story begins with the player’s character waking up in a cell and being as forgetful as ever, only to soon after break out and be reunited with some familiar friends from Baldur’s Gate. Personally, I think that Baldur’s Gate II is a better story than the first game, but an argument can be (and has been) made either way. Regardless, it’s a wonderfully written plot with some of the most memorable characters of all time. But let’s talk about the Enhanced Edition. 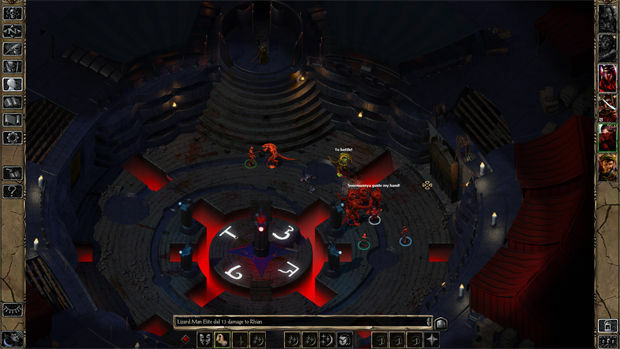 While the gameplay remains untouched, the game does now run in widescreen with a new user interface (the same as in BG: EE), which really makes the game much more convenient to run. And for players who feel the new UI makes the game feel cluttered, there is an option to hide the sidebars. Yes, you could buy the game for cheaper on GOG.com and then install mods to achieve a similar effect. Whether or not that is worth your time and effort is a personal decision. The original game, Shadows of Amn is bundled in with the expansion Throne of Bhaal, and the Enhanced Edition also includes “The Black Pits II,” which is just like The Black Pits from BG: EE. The Black Pits is a gladiator arena to truly test the player’s combat skills against waves of increasingly difficult enemies. Surprisingly, this mode has some really solid writing as well, and fits in nicely with the source material. There's also an easy-to-use multiplayer system included, which is really one of the best ways to play the game. The in-game models still appear a bit muddy, so while looking at the game it may seem far from “enhanced.” I also experienced some sound popping while the cutscenes were playing, but never while actually in-game. It’s the smaller things that really make the bigger impacts though, like increasing the stack size of items which prevents players from having to constantly deal with stacks and stacks of arrows taking up inventory space. The best way to describe Baldur’s Gate II: Enhanced Edition is that it’s very convenient and nice. It’s convenient and nice to not have to install a handful of mods on the original version in order to get it to look not terrible. It’s convenient and nice to have small quality-of-life things added that new players won’t even notice while Baldur's Gate veterans will likely welcome them with open arms. All the convenient and nice additions in the world wouldn’t matter though if the core game wasn’t so damn brilliant, which it still is. Baldur’s Gate II lives up to its reputation as one of the all-time best RPGs, and if you’re looking for a no-fuss way to play it, Baldur’s Gate II: Enhanced Edition is exactly that.